What is the most common objection that callers face when making cold calls? Particularly in this recessionary climate, it has to be ‘we have no budget’. It may well be true that they have no budget but let’s analyse this a little. Using the ‘no budget’ line is an easy and quick brush off for cold callers. It is likely to get rid of most inexperienced callers. However, it also actually isn’t often the whole truth or the full picture. Think about it. If you have a choice in your daily life you make the choice that suits you best with the budget you have. Imagine you have a budget for shopping in the supermarket. Most weeks, you probably buy the same things but generally most people change a few items that they buy. Some of these are impulse purchases. Some are changes of brand and some may be new items that you’ve never tried before. What happens if someone offers you a better option or a promotion? Or a cheaper alternative? Or a better one at a lower price? We all make choices and that’s also true when it comes to corporate budgets. Managers that hold the purse strings are tasked with delivering results. Whilst some budgets are genuinely set in stone, there is normally some flexibility and managers have discretion to change course and reallocate budget to new things if they are relevant, timely and demonstrate benefit. So, with that in mind, don’t let ‘no budget’ objections distract you from your objective. An objection can be an indicator of many things – a pre-purchase qualification question, a concern or fear, someone just telling it like it is, or a prospect afraid to say they’re just not interested. But how well do you understand what your prospect is really telling you? Firstly, there’s no need to fear this objection. Embrace it. It is a good opportunity to engage into conversation with a prospect. And you won’t get the same response from every prospective client if you ask a few qualification questions in response to ‘we have no budget’. Empathise with the state of the economy or the industry they’re operating in and build rapport! Rapport is crucial to telemarketing success. Secondly, don’t take things at face value. So they’ve said they have no budget. Have they completely cut all budget or budget in certain areas? Could they re-allocate if you were to show them something that would improve results, reduce costs, improve productivity etc? The reality is that senior decision-makers have to review budgets constantly. They will also always allocate money to things that are important. They will move budget around if the offer is compelling enough and take it from elsewhere if it benefits them. So, is it really a budget issue or have you not been sufficiently convincing in helping them decide that what you’ve got is for them? The key is to be brave. 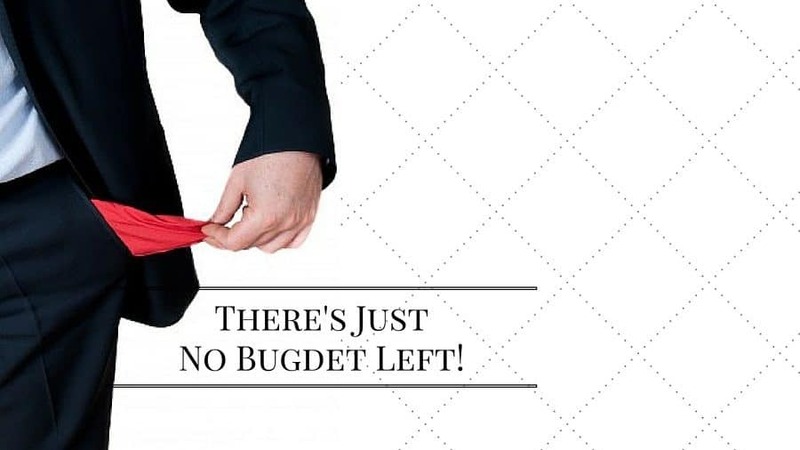 Don’t let the ‘no budget’ response stop you and make sure you don’t fall at the first hurdle. You won’t win every time but you will succeed if you persevere and remember to ask good questions.